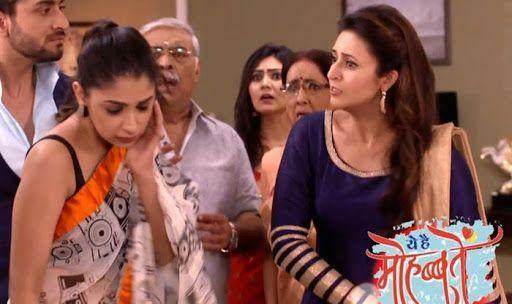 Yeh Hai Mohabbatein is an Indian daily soap opera which was aired on Star Plus and Star India channel. The serial is of the romantic genre. The show was first aired on December 03, 2013 on Star Plus. The show is directed by Ekta Kapoor and Shobha Kapoor and produced under the banner of Balaji Telefilms and based on the novel Custody written by Manju Kapoor. Divyanka Tripathi, Anita Hassanandani and Karan Patel are in the lead roles. Yeh Hai Mohabbatein is one of the highest watched TV serial and breaking all the TRP records in India. On December 9, 2016, the show completed its 1,000th episode. It was filmed at several foreign locations including Australia, Budapest, and London. The show completed 1,500 episodes on June 13, 2018. The show has won more than 50 awards. 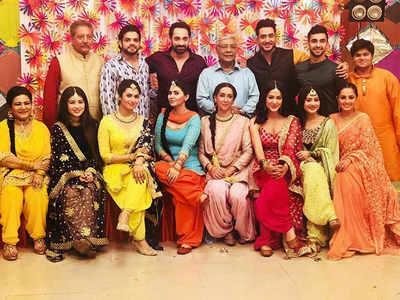 In February 2018, it was announced that Ye Hai Mohabbatein will have a spin-off named Yeh Hai Chahatein. Star Plus Yeh Hai Mohabbatein is one of the trending television serials of India. The show completed 1,500 episodes on June 13, 2018, and still running. The story of the serial based on the novel Custody written by Manju Kapoor. Beautiful actress Divyanka Tripathi is playing the female lead role of Ishita Iyer and talented Karan Patel playing the role of Raman Bhalla. Anita is playing the role of Shagun, who is the ex-wife of Karan Patel in the show. This is a romantic soap opera about two different people and how their lives are linked by their daughter at the start and finally how they fall in love with each other madly. These are all the details about Star Plus Yeh Hai Mohabbatein Serial Wiki, Cast, Story & Written Updates. For more updates keep visiting our blog and do not forget to share it with your friends.